Common vs. Marginalized Knowledge – a Potential Showstopper for the Semantic Web? 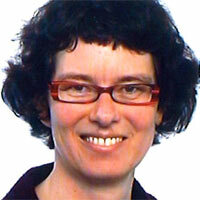 Alison Adam analyzed the well-known ontology CYC that was build to capture common sense knowledge from the 1980ies on. Her criticism focussed on the built-in assumption that we would all share a consensus reality: “be it a professor, a waitress, a six-year old child, or even a lawyer” (Lenat and Guha 1990). She revealed that the knowing subject implicitly assumed by the system is a white, middle-class male professional. Hence, in contrast to its own agenda CYC ignores minority views, quieter voices, and allows the dominant voice to speak for everyone, which seems highly problematic. Other studies give more evidence for the highly problematic prerequisite of computer science modelling that rests on the Cartesian epistemology. Even the modelling concepts themselves should be questioned as Cecile Crutzen suggest, since e.g. the class concept and the inheritance concept lack to represent social processes, because of limited formal expressiveness for conflict, change and fluidity. Such an ontology abstracts from human sociality, situated action and real meaning construction processes. This also made me think about my own role within and attachment to the Semantic Web Community – from a professional point of view, I see myself as a sort of mouthpiece for the Semantic Web (at least within the professional community that I am a part of), and while I am convinced that the movement is going to see its big break within the next five years, I don’t see myself as playing a significant role in it. And I’m always inclined to leave all the ‘hard stuff’, i.e. all the technology-related questions to the ‘boys’ in our team. But one of the good things about the Semantic web is that it is actually EASY to understand – I’ve also been told by Henry Story for instance that N3 (Notation3, a shorthand non-XML serialization of Resource Description Framework models) is relatively easy to learn; and since I am one of the few women I know (sadly) who actually know what an ontology is, maybe it would be about time that I learned to model one myself. Because we cannot expect that white, middle-class male professionals are going to be able to explore the feminine or queer knowledge in this world and mold it into a common knowledge base. Even if marginalized voiced can hardly expect that the hegemony is going to advocate their cause: The Semantic Web project itself is at stake if some voices, views and knowledge are excluded. This could indeed be a showstopper for the Semantic Web – not immediately on a technology level, but with regard to meeting the societal goals of its own agenda. Read the entire interview with Corinna Bath here. Alison Adam’s cited work is contained in: Building Large Knowledge-Based Systems: Representation and Inference in the Cyc Project (D.B. Lenat and R.V. Guha 1990).